The papers in this journal contain the Proceedings of the Fransum Colloquia on Mediterranean Archaeology. The Fransum colloquia, which take place in a small Romanesque church in the countryside north of Groningen, are meant to assist Ph.D; candidates in Mediterranean Archaeology and Greek and Roman Studies towards the end of their research at the University of Groningen. Candidates designate a problem which has strongly occupied them in their dissertation project, and a specialist is asked to comment on the subject. Colleagues from Groningen and elsewhere who are working in the same field are then invited to contribute to the programme. 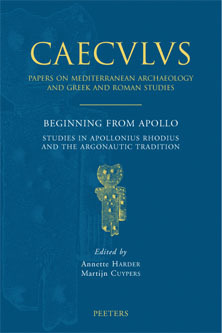 Founded in 1992 by Marianne Kleibrink, Professor of Mediterranean Archaeology at the University of Groningen, the Fransum Colloquia and Caeculus series were extended in 2002 to cover the entire range of Greek and Roman Studies as represented in Groningen. Caeculus is a peer-reviewed journal.